We need two things for the following tutorial: Docker installed (see the exact requirements) and Maven. 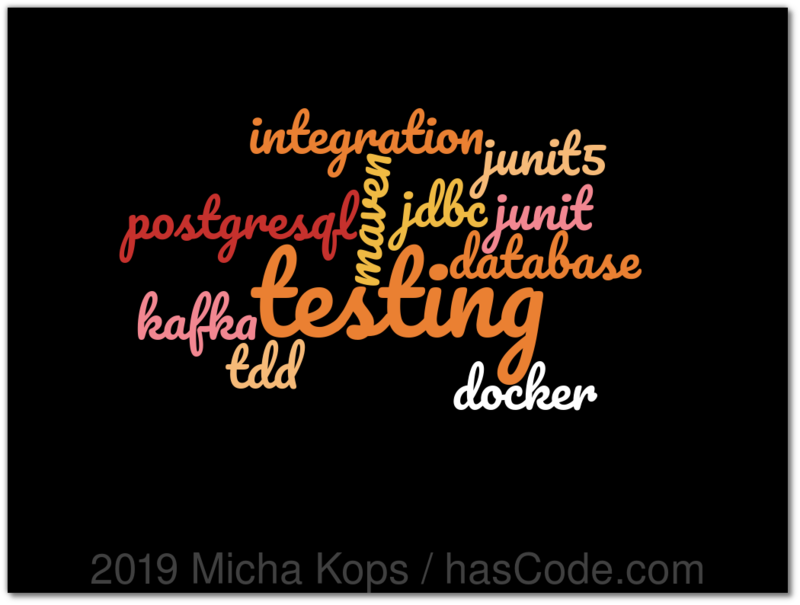 Since we’re using JUnit5, we need to add the JUnit dependencies (I’ve used the JUnit BOM for these dependencies here) and also the testcontainers-junit adapter library. Our first example targets my favorite stream processing platform, Apache Kafka…. This is our Kafka integration test. We’re producing and consuming some records send over the containerized Kafka instance. This is not a real valid test but demonstrates that our container is running and available. Again we’re writing two fast integration tests to verify that the database container is started and another one writing and reading from the started Postgresql database. This entry was posted on Wednesday, January 30th, 2019 at 10:14 pm	and is filed under Java, testing. You can follow any responses to this entry through the RSS 2.0 feed. You can skip to the end and leave a response. Pinging is currently not allowed.